A school newsletter from Mr. Pitrakkou, the principal of Sunshine College North Campus. The Australia international exchange learning activities will start 3 weeks later. 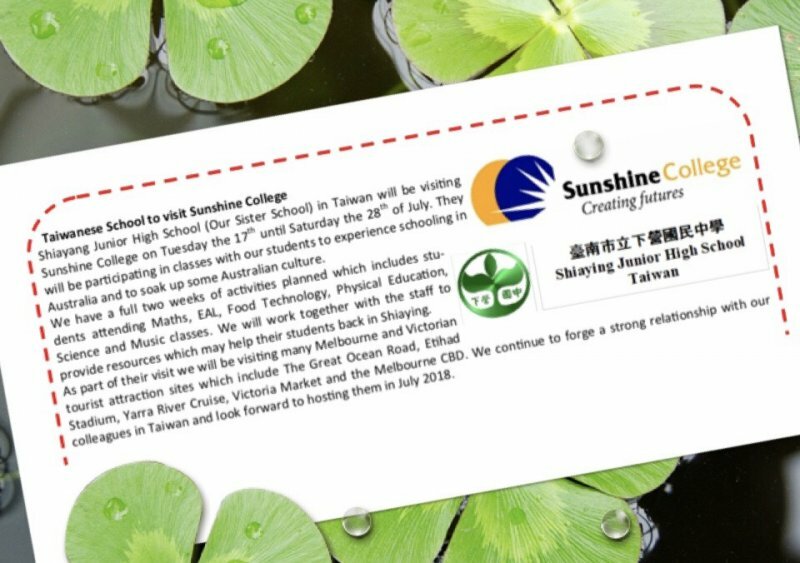 We will exchange with Sunshine College North Campus to conduct Australian secondary school courses including Math, Sports, EAL, Music, Phyical Education and Science Classes. In addition, we will also experience the culture, food and tourism in Australia. Let's wait and see!